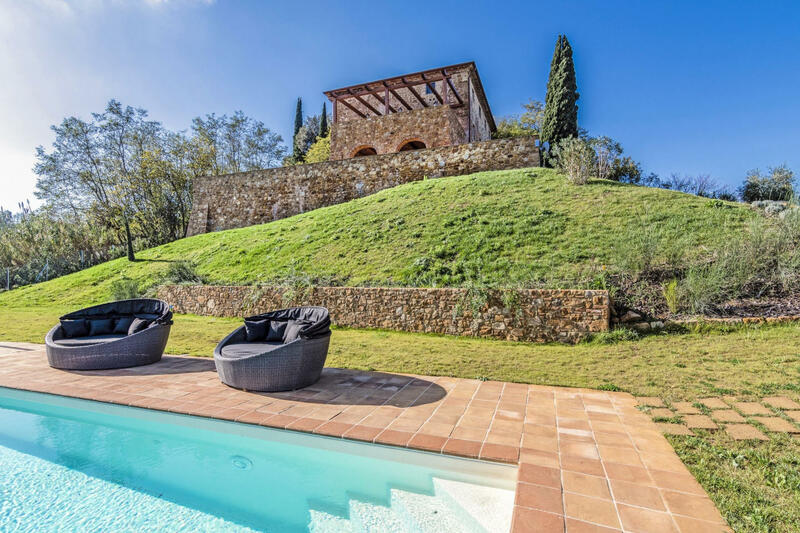 Luxury villa with pool, 1 km from the village of Castelfalfi, famous for its Golf Club (27 holes) and centuries-old castle. 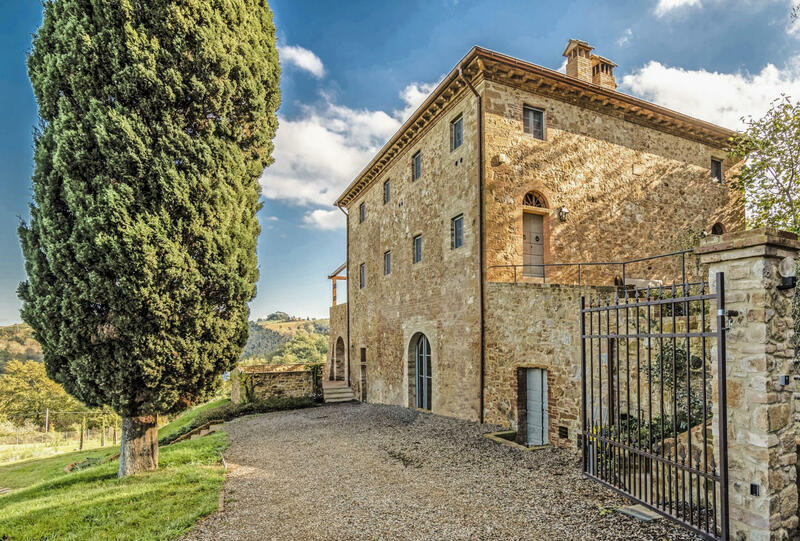 The castle dates back to the 700s, and was recently renovated, giving new life to the surrounding hamlet. 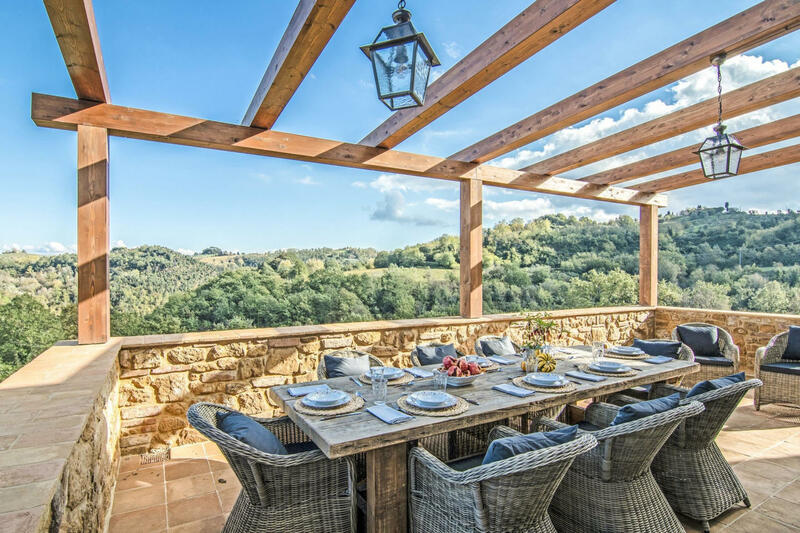 The villa sits in a tranquil area with panoramic views, surrounded by nature while at the same time close to historic places such as Volterra, San Gimignano, Pisa, Lucca and Florence. Tastefully furnished in classic Tuscan style, it offers all amenities: air conditioning, TV, wifi internet, and a fully-equipped kitchen. Outside, there is a pool in the beautiful garden, for relaxing in total privacy. At guests’ disposal: screens on the windows, large indoor and outdoor spaces, terrace with panoramic views on the villa’s first floor (near the kitchen) equipped with table, chairs and barbecue, piano, completely fenced-in garden, pool with panoramic views reserved for guests’ exclusive use (11 x 5 metres), parking within the grounds, laundry room with washing machine and dryer. Distances: Castelfalfi (food shops and restaurants) 1 km; Montaione (shops of all kinds) 12 km, San Gimignano 23 km, Volterra 35 km, Siena 60 km, Pisa 60 km, Florence 65 km.